Welcome to 360 sports education ..built around you! 360 sports education is a multi-sports training and coaching company with a passion for ensuring children have fun playing sport and are able to ‘do their best’. 360 sports education aims to build long-term partnerships and relationships with schools, charities and the surrounding community by working closely with the people within these organisations. Rick co-launched 360 sports education back in 2015. He has a real passion for how PE can really make a difference to children of all ages and abilities. One of his areas of expertise is to measure and evidence the impact of excellent PE delivery. 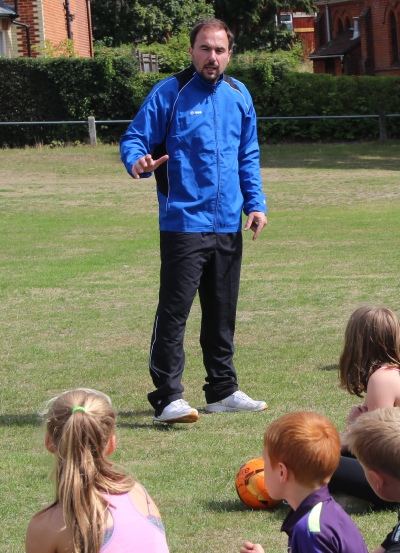 At 360 Rick teaches in several schools , leads After School Clubs and during the holidays is a Site Leader for the 360 HYPE and Football Holiday Camps. Prior to coaching Rick held senior positions at Marks & Spencer , AXA and most recently the educational charity AQA. He holds a BSc (Hons) degree. Rick loves sport and has played competitive football, cricket, basketball and tennis. 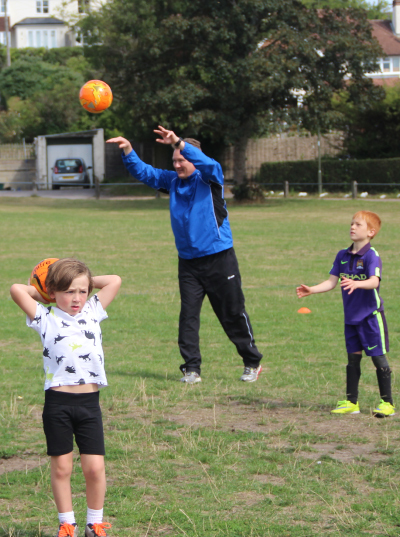 He has the FA Level 2 coaching award and enjoys coaching his local football team The Bourne Blades, where his two 10-year old twin sons Arian and Jay have followed in his sport-loving footsteps. Rick is married to Mita , who is also a keen sports lover . They also share a love of bird-watching, wildlife , Safaris and travelling. Chris has been involved in sport from a very early age. Chris has played competitive football, cricket, badminton and Athletics along with his twin brother Duncan. He also enjoys playing golf, running and having fun with his three children, who all share his love for outdoor activities. Chris has built up a wealth of knowledge during his 18 years of working in the coaching and teaching industry. One of his sporting highlights was representing his country Wales in the European Championship qualifiers in 1996 gaining two caps against the Faroe Islands and Spain. Another highlight was recently completing the Reading half marathon. Chris loves spending time with his three children, camping, rock climbing and meeting up with friends and family for social outings. Adam has been involved in teaching and coaching for over 10 years. At an early age he gained his FA level 2 in football coaching, also going on to achieve the level 2 multi sports qualification. After gaining many years of experience, he went on to manage large regions, being responsible for a large number of schools, whilst continuing to deliver to a high quality standard. 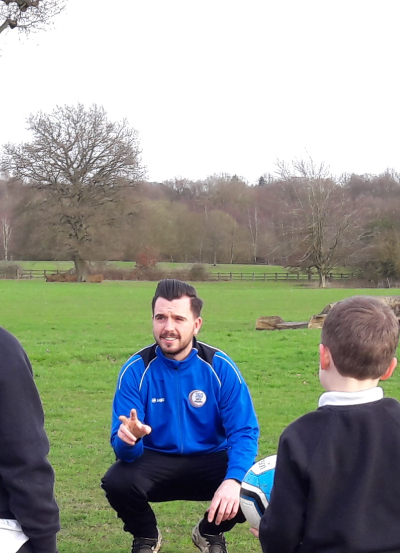 Adam is now the Primary Manager of 360 sports education and is continuing his close working relationships with several local schools. He is passionate about training and development ensuring his staff deliver to his high quality standard. In his spare time, he enjoys nothing more than spending time with his family, involving himself in football and playing golf with friends. Jo has been employed in Surrey Schools for the past seventeen years as well as being a school Governor for eight years. Jo specialised in dealing with School Admissions and administration as well as guiding children and parents through the Induction and Transition process of first starting school. Jo’s background has always been customer focused and prior to working in schools was employed as a Senior Customer Service Manager for British Airways. Jo joined the 360 Team in May last year as our Customer Manager, providing efficient, friendly support and advice to parents wishing to book our Holiday Camps, Clubs and Parties. Jo loves to spend time with her twin daughters and family and friends along with reading, gardening and listening to The Archers! !